Rossland’s Black Jack Ski Club has once again been selected to host the prestigious Haywood North American Cup (NorAm) race event, next weekend Dec. 13 and 14. 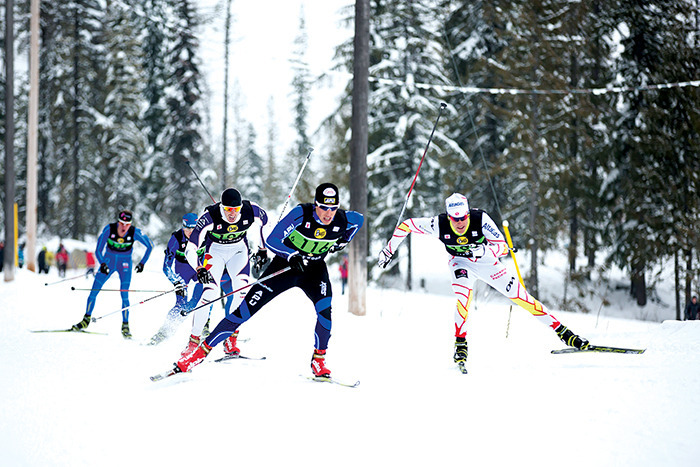 Rossland was selected by Cross Country Canada (CCC) to host the NorAm after Black Jack successfully made a bid to host the 2014 race. “Black Jack has hosted NorAm races in previous years, most recently in 2007, 2009, 2010 and last year in 2013. CCC knows we have done a good job in the past and they like our course,” explains Black Jack’s Competitions Chair, Rob Spiller. The Haywood NorAm Race Series is the premier Canadian domestic racing series and makes up the balance of Canada’s Federation Internationale De Ski (FIS) Regional Series, used to determine Continental World Cup entrants. “The general aim of the Haywood NorAm Race Series is to assist in athlete development at the elite level and to promote cross-country ski racing to the public at large. The series enables the best skiers, both seniors and juniors from Canada and guests from the United States to compete head-to-head,” explains CCC’s website. In previous years Black Jack have had NorAm entrants from other continents but only North Americans have registered so far for this year’s event. In 2004, and continuing for the past decade, Haywood Securities Incorporated expanded upon their National Ski Team sponsorship and became the title sponsor of the Haywood NorAm Race Series. The Haywood NorAm Race Series includes a number of designated sprint races which will take place on Saturday. Earlier in the morning individual time trials will qualify skiers for the exciting heats later in the day, where six athletes race head to head with the fastest competitors advancing to the next heat. Sunday is an individual start classic technique race for both the NorAm and the Teck Kootenay Cup, which Black Jack is hosting particularly for some of the younger skiers. This is Rossland’s opportunity to see some of the fastest skiers in North America, including the Junior and Under 23 skiers competing for places on a team going to Kazakhstan for the World Junior Ski Championships this winter. When asked about the current course conditions, on the first day of winter, Spiller said, “The course is a little bit low on snow right now.” However, Black Jack would like to inform people the race is still on even if Rossland does not get much more snow. “We have plans to use the alternate venue at the biathlon trails where the skiing is great right now,” reported Spiller. Organizers expect around 200 athletes to enter the competition with 180 competitors registered one week out from the Dec. 8 closing date for NorAm registration. The Kootenay Cup entry deadline is Dec. 11. “This event brings about 400 people to Rossland with athletes, coaches and parents, who typically stay for a full week and provide an enormous economic benefit to the local hotels, restaurants and stores in Rossland,” said Spiller. Black Jack is still seeking volunteers for various positions and skill sets for the duration of the event. No experience is necessary and tasks would include anything from serving food to keeping time and assisting to set up the course. Volunteering will enable those that assist the opportunity to brush elbows with some of the top skiers in North America. The public is welcome to attend these high level races. Full race details can be found on Black Jack’s website: www.skiblackjack.ca/noram.